Years ago, when we adopted our dog Maddie from the shelter, one of the first things we did was arrange for her to be spayed. “Just make sure she doesn’t eat anything after midnight” were the instructions from the vet’s office. I loaded the very hungry Maddie into the car early the next morning and started driving. Then I heard her rustling around in the backseat and my eyes grew wide with the realization that she was, at that moment, finding every scrap of hamburger, every petrified French fry, every bit of leftover burrito, and frantically licking the old cups that once held milkshakes. This was my Mom car she was in and she had quite selection at the buffet. I drove, weaving down the street, leaning back, one hand on the steering wheel, the other hand trying to grab the feasting animal. During the full-blown kid years, HOB called my car a rolling trashcan. I preferred to think of it as a large purse with wheels and I challenged him to haul around kids, groceries, and pets and see what his car would look like at the end of the week. Like most moms, my car served as more than just mode of transportation. It held the remnants of our days and the essentials of our lives. Frankly, I was too busy to care what it looked like and I figured that eventually everything in there would serve a purpose. I was right most of the time. And the half-eaten peanut butter sandwich on the dashboard made me the coolest mom in town when I placed it on the moon roof and we all waited inside the van as seagulls came down and to eat it as we watched from our fully reclined seats. Mom cars are as unique as the moms who drive them. One time I as I was walking the kids to school, I saw a mom kneeling on the sidewalk outside of her van, working feverishly. Coming closer, I could see she had a box of granola bars, two large bags of chips, an assortment of juice boxes and a box of Twinkies on the floor of passenger's side. She assembled her children's lunches then and there like a real pro, pulling the brown paper bags from the door panel as though it was meant to be a lunch bag dispenser. She handed a bag to each child just before they ran to the school. I nodded and smiled in admiration as I went by. Cool. I got into another woman’s van and saw a series of seven numbers and letters scrawled in crayon across the dash. "The kids?" I asked. “Oh no,” she said in explanation, “I saw a guy driving like a maniac through my neighborhood the other day. I was driving and all I could find was a crayon, so I grabbed it and wrote his license plate number there. I’m on the lookout for that SOB,” she said, tapping the dash with her fingernail. To me, mom cars are fascinating, alive and life affirming. They reflect those kid years exactly—unorganized, messy, and always full of surprises. Now that I have a new car and my youngest is old enough to have his own car (which, by the way is neat and I was actually instructed not to “mess it up” when I drove it the other day) I miss those days of having at least twelve Hot Wheels, a couple of smelly shin guards and a few half-empty Capri Sun pouches around the car. My car stays a whole lot neater these days, but, frankly, it’s pretty boring. And when it does get messy, well, I don’t have anyone else to blame for it. Lots of Napkins in glove compartment. ROFL!! Tears streaming from laughter!! You hit me way too close to home! My kids are grown now, with kids of their own (yes, my daughter's car sometimes looks like mine did)!! Today, I have lots of empty water bottles, a blanket, a Rubbermaid container that slides from side to side when I take corners at 15 mph, which houses all the other "stuff" (so that I can FEEL organized). Oh that was so my car when the sons were growning up! My hubby never understood why it was so messy and why I didn't clean it out once a week. I gave up explaining it to him a long time ago. Now it is empty except for the gum, umbrella and my recycled grocery bags (yes, I leave them in the car so I always have one to use. I hate plastic that much). Sons will still ride in my car every once in a great while and they STILL will leave their cups, wrappers, and crap that wasn't important for them to take out. I've driven a Mom car for 25 years and I didn't have a child until 5 years ago. It seems every time I ever cleaned whichever messy car I owned, someone would steal the stereo. Every single time. So I never cleaned my car. I could leave my wallet in the glove box, my cassettes strewn all over the seats, my $100- shoes and fab little black dress in the back, with the windows open all night long in the toughest part of town and no one would touch a thing, if mixed in were old sneakers, McD's bags, books and assorted crap. As soon as I cleaned it, the stereo would be snatched faster than you could say, "Stop." So I don't clean my car anymore. It drives my mother crazy and she refuses to ride with me anywhere but I don't care. This car has a cd player. It's not that mine is messy (well, if you don't count the 300 plastic water bottle lids I have crammed into my cup holder. I have to have something to fiddle with when I'm not busy playing the air drums when I'm driving). No, my car is just plain sticky. But one time my son tried to open a brand new box of Cheez-its in the back seat and the bag exploded everywhere. We were still finding little orange crackers 2 years later! HA HA HA! This made me laugh. Sounds way too familiar. 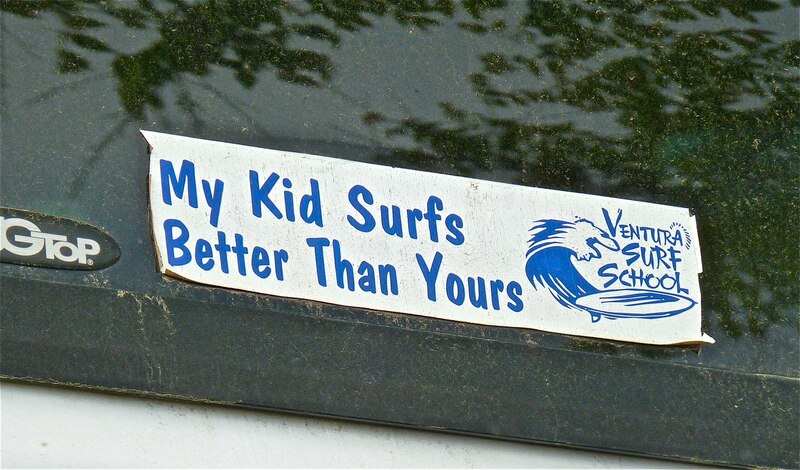 My kids are older now too, and one has his own car so my car is neater now than it used to be, but yes, I can definitely relate to this one. LOVE the crayoned lic number. What a smart woman....her ferociousness at finding the SOB, I love it! BB that is too funny. Now I know why my next door neighbor (3 teenagers) always has the vacuum cleaner out on the weekend. Here I thought she was a neat freak!!! Each child plays at least 2 different sports. I'm well past the child hauling stage but you are right my car holds my essentials for the week. 10. winter hat (that needs to be stored at home) that I keep in the car for my after work walks. Even with just one kid, it is amazing how she transfers her environment into the car. I can just imagine how more than one would be! I don't drive or have a car!! 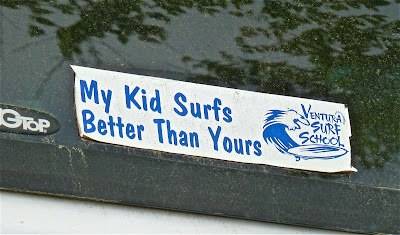 But I love your mom cars - I love that these brilliant things sustain you and your own! I love that they contain all you need to keep you and family safe and well! Yay for mom cars! I want a mom car now! I have floss and those mini Wisp toothbrush things!!! :) I'm a firm believer in keeping dental hygiene implements in my car; you just never know when you'll need to give your teeth a little scrubbing! Also: iPod and XM (hate radio stations), gum, napkins, hand sanitizer, re-usable grocery bags. LOL! Betty this was a great post! Loved it! I remember those years! One time a little musical toy fell into the gap between the back seat and the trunk. It was rather loud and would periodically play it's cheerful little tune as I was driving. Now I drive a quiet little pick-up truck with my freezer and grocery bags (for Sams Warehouse shopping trips) stashed behind the seats! I love the stuff you come up with! No car yet, Bet and I still don't know how to drive. Someday. But your old car sounds adorable! I love the dental care idea. I never have time, but while driving...now why didn't I think of that. Thanks. So true! What mom had a pristine car? Since my children left the toddler stage, the car is much cleaner. Those long trips from Cambridge to Long Island didn't help. And when I'd periodically lift the car seats, I was horrified to note the crumbs. Now there are bits of broken toys and papers. I should vacuum more often! At my house, mine is the clean one. The ex had bitten,chewed and spit out fingernail clippings and sunflower seed shells all over the place! Loved this post, Bossy Betty! It's funny how cars hold such random objects from our daily lives. I don't have a car right now but when I did, it was full of old envelopes (I used to pick up my post on the way to the car). Lots of papers and random receipts, too! I'm usually the only one in my van, which I haven't been driving much in the past couple of years. I have a bunch of fast food receipts (I mostly drive to get something to eat if I don't feel like eating at home), an extra shirt that's been hanging in there for a few years and I keep forgetting to get it out, and some old yard sale signs from last year that I keeping just in case I have another yard sale. Okay, that was hilarious and the perfect way to begin my day, I'm still laughing. Love it!!! You always bring a huge smile to my face when I read your posts. My car is sterile. You won't find anything in it that doesn't belong there. How's that for boring? Oh wait - water is somehow coming in around one of the seals at the back......so there may be a smelly mildew issue right now. I think I'd prefer 1/2 eaten sandwiches, petrified french fries and socks. My car just a few years ago was a trashcan, almost literally. My desk was my car so the backseat was basically my trashcan. One of the kids regular chores was to pull all the crap from the backseat floor - mostly Taco Bell by the way. One day when we ran out of taco sauce I emptied my glovebox and nearly filled a shopping bag!!!! Did you hear about that guy that ran off the road in NC during an ice storm? He lived for several days off melted snow and taco bell sauce packets. So really, it's just proper emergency planning on my part. RIGHT? Now I have a shiny new car and a real desk - my car is the exact opposite. I have one (1) Entertainment coupon book, the wires to connect my iPod, napkins in the glove box, and CD's neatly stored in a zipped case. Over the weekend we purchased two (2) folding chairs. Oh, and the reusable shopping bags that I always forget to take into the store. I'm scared I might run off the road without any taco bell sauce, I really need to load up my glove box. Oh my it's been years since I've had the back seat buffet thing going on. I do miss having the kids to blame a messy car on. Now not much in my car, a cell phone charger, a pair of gloves and some spare change. I think mine has 30 library books from our library trip a couple of days ago. I think the women there think we are crazy, but we always have them ALL read and back on time, so whatever. I also have 12 Ball jars filled with candles and sand that still need taken out from my youngest's first birthday party last week. Note to self: take them OUT! Oh, and lastly, MY ball glove and cleats. My girls aren't quite old enough to play yet. Otherwise, I am sure they would be right in there beside mine! :o) I'm sure a few petrified fries are in there somewhere too! I definitely have a 'guy' car - only a couple CD's in mine. Betty, too funny! I'm not surprised though.LOL! I love this post and your mom's cars! I always have in my car, hand sanitizer wipes, a pen and paper, and some First Aid stuff. you and craig would be perfect car siblings. :) i'm loving the license plate story! My car is pretty empty, since I drive to and from work by myself. But every now and then I find souvenirs from day trips with my kids...sticks, drinking straws, Transformer parts, crayons, and stray socks. I don't mind it in the least, although the crumbled up graham cracker in the back window is probably a bit much. Nowadays, not much. I hardly ever get in it, either. Loved this post! Takes me back to the good old days, when the car was full of kids, skates and was always going somewhere. My only preference is that I not end up in either of our cars...it's usually a trip to the vet human, which I really don't enjoy! I love how you said that each mom's car is unique to her. I think that is so true. I have so many pieces of random items in my car, but like you, so many times I have found a use for them. I think my car is another closet/pantry/toy box. I'd give you an inventory, but there isn't enough room. :) My husband's car is the man version of a mom's car right now though, because we have car seats and toys in both. We never know who is going to have to take who where. Betty, that was one fabulous post! I also used the thrown around socks for good purpose when I had a cold and there were no tissues to be found. A mom's gotta do, what a mom's gotta do. And inexplicably, one of the girl's bras. I think we'll start our summer vacation with a little car detailing. Thumbs up to the mom kneeling on the sidewalk making lunches! If had more than 1 kiddo, that would be me. *note: inventory changes with the seasons! Thank you, Betty, for making me feel better about my "purse on wheels". But...we are never lacking a pair of socks...when we go to the McDonalds play land!! Just go dig around for awhile...and we always come up with a pair! LOL! This is great! I'm a big fan of "purse on wheels", the sandwich and seagulls, and of the license plate number written in crayon!! My poor car has a backseat blessed with dirt and dog hair....reminder of our sojourn to the dog park last Sunday. We have antiseptic wipes, tylenol, a million pairs of scratched up dorky sunglasses, a zillion napkins, an ice scraper, an umbrella, a box of kleenex, hand lotion, an air tire gauge, a bunch of old maps, and pens, pennies and who-knows-what-else! so cool - i love it. i try to keep my car pretty empty. i typically have a bottle of water (in the colder months), napkins, a pen and a few coins for parking meters. i keep floss and everything else in my purse! We could all relate to that, Betty! My car is fairly empty...except the dead body in trunk. everyone else in my family has.. I have always had a neat car even when my girls were living at home...Now my daughters cars....well let's just say they took after their dad not me!! Betty this is a wonderful post because although it is written with some great humor your sense of wistfulness and loss over those Mom car days shines through. Before my daughter came along I never had to clean the inside of my car, it remained spotless. Now it is a mess. But I know the day I look in the rearview mirror and no longer see my daughter's car seat will be a sad day indeed. Right now my car is stuffed with gas and shopping receipts. LOL. Okay, not just now but always!! I need to store that lunch station idea in my back pocket, thanks for sharing. There isn't much in my car yet but my kids are still on the littler side. There is a misplaced hot wheel of some other kids of car that rolls around on the floor board when I turn and on the dashboard a two sided hand made one of a kind picture. Like where you would put a bus number. My son reminds me that he made that icture for me to have in the car so I wouldn't miss him. How sweet is that? Love it. Not enough room to list everything. Car seat, booster seat, extra booster seat for tball carpooling, stroller, diaper bag, two baseball equipment bags, chair for watching baseball, scissors, chargers for I pods, Nintendo ds and cell phones. Lots of crumbs, cups, trash, toys, nerf guns. I occasionally take a bag out and collect things that belong in the house, those bags are all over the house. Thanks for reminding me this is normal for my life at the moment. I will look at my car with different eyes now. I do like the license plate number in crayons. I just cleaned my car a few days ago but it still has a water bottle, box of Kleenex, a pile of reuseable bags for groceries and a spare pair of flip flops. We won't talk about all the stuff that was there before I cleaned it, I would prefer not to go there. You sure brought back the memories of MY "Mom" car! sigh. Our truck is quite messy and it's all my husband's fault. Seriously. And I refuse to clean it. I'm responsible for the trailer - he can keep the truck clean. Lots of "stuff" in there; it's also used for some storage. I still drive my mom car. I have had it for almost ten years and I love it. Amazingly I have been able to keep it looking pretty good all these years. I have stickers from every school pasted all over. But more than that I have fabulous memories (and some not so fabulous) of rides home after long days of work and school. Sometimes amazing revelations would come out in these rides and other times no one would speak a word. But all in all if these doors, wheels and windows could speak...oh what a great stories they could tell. This is great. I just cleaned out my van after a little family trip. It was so messy we had a hard time finding a seat. Right now it is totally empty and clean, but guess what. I got to the mall and realized I had no diapers. I always keep them stashed in the van. Ooops. Forgot to put the diaper bag back in. I also laundered the fleece blanket that Princess uses when I crank the air up too high. Ooops. Forgot that too. You get the point. The "rolling trash can" does have it's purpose. Ha! Great post. I definitely have napkins. The scarier question is what is in my purse. Oh the Mom car...I can say that I did not join the ranks of the MiniVan Mafia once I joined Motherhood. I do however have my fair share of goldfish, teddy grahams and bunny shaped fruit snacks stowing away amongst the seats and on the floorboards. Anytime Little Duck wants to go to the pet store I smile, teeth and all, and tell her to crawl around in the back for awhile. Same darn thing...cept these aren't alive. A big purse on wheels?? Love it! I must say my car is kinda spotless. AT least this week. you are sharp and apt to point out things and we learn. Purse with wheels is a great description, but it doesn't really fit my car. I make my daughter bring everything out after each trip to satisfy my pre-child need for a clean car. If I had time to clean it I'd be in good shape. I had potting soil everywhere for three weeks after bringing my hibiscus trees home from Costco. I drive much less than anyone else I know, perhaps that helps me to keep the leftover PB&Js at bay! I'm thinking you could just starve the dog once a month and let 'er loose in the van to vacuum up all those crumbs and tidbits that were left over. I recently cleaned out my car, so there's not much in it besides some CDs, but I did spill some rice down the side of the passenger seat like a year ago and I cannot get all the rice out. There's still some there, mocking me. Hey, your list sounds a lot like mine. I'm so down with FWD, because really, when else am I gonna get to my gums? Oh, and I've got books, too! In my car you'll find (today anyway), "If You Give a Moose a Muffin" (AKA "Moose a Mussin"), "Froggy Gets Dressed" and "Tigger and Pooh: Count on Us." So, you know... the classics. Oh, and I've got my sunshade for the window and my work bag. I usually recycle a plastic bag (from bagels or whatnot) into a trash can. No scissors, but I do have a pair of nail nippers, which is good since this car didn't come with a lighter, so the nippers are also used for plastic tags when we have to use *right now* whatever was just purchased. I also keep a cup for Mad. Each morning I fill up two of my big cups with water. She and I share all the way down the hill. Sometimes I think I should have gone the sippy cup route, because filling her cup while driving just doesn't seem as smart as giving her a bigger cup with a lid. Time to decide on a new plan before Fynn gets to that point, though. Last, but not least, I've got at least one box of tissue with me at all times. It's been probably a week since my last driveway retching experience, but I never know when the next will hit. Terrific post here, Betty. I'm new here, via Hilary. I too have a car that has seen better days. The other day my husband drove with me. We were talking our grandson home after an overnight satay. My car hold the baby seat. He took one look, my husband that is and wanted to get back into his own neat car. He claimed to be shocked by the mess. No one is allowed to eat or drink in my husband's car. I couldn't care less. Cars are methods of transport, not centres for vogue living. Thanks. Hello, I came over from Hilary's; she sure knows always how to pick a winner. Congratulations on POTW, what an incredibly refreshing and candid post. You describe with such a lightness of being the recollection of a busy life of a mom, that meets reality head on. ;) This including the *wheels*, reflecting life as it meant to be: full of stuff and full of joy. My car has no emergency food supplies or clothing..no kids!! LOL! But my purse is another story. It has all the comforts of home and it is ready for an overnighter anytime!! Great post and congrats on your POTW!! CONGRATULATIONS ON WINNING the "POST OF THE DAY" AWARD! This is a brilliant piece of writing! As the mother of four my car was sort of the center of the universe for quite some time. Nowadays, living where we are now, with ample public transport, the car has lost its place, and the kids are more than old enough to jump on the streetcar by themselves. Accordingly, the car inventory changed. Now it's my stuff cluttering up the boot, a tripod, hiking boots and comfortable old shoes (I often end up taking "spontaneous" picture in the middle of a field or the like), an old bath towel and a rag rug in case I need to throw myself down to get the picture I want, a bottle of glass cleaner (you never know when that could come in handy), papertowels - oh gosh, so boring! I may be "Dad", but whenever one of the kids calls me "Mom" by mistake, I tell them yeah - I'm your mother, kid - don't fool yourself. Call me Dad, though. Inventory: Duct tape, towel (real), paper towels, trash bags, first aid kit, box of P'nut Toasty crackers, box of Capri Sun fruit punch, multi-tool, AA batteries, wash 'n' dri wipes, box of band-aids, adapters for DS and Leapster, sun cream. Fortunately, the diaper days are over. Proud moment: when my wife took them on a trip and they had no snacks, oldest said: Well, Daddy always brings me something. I favor peanut toasties for their high "shut up" factor. Great post. Congratulations on the potw. Oh lord, I misread that last and thought the current inventory of HOB's car was a gun. Quite startling, really. Glad I turned out to be incorrect. My mom car is cleaner these days, also. I only have one child, but he took being messy seriously. Still does. I don't look in his car, it frightens me. Congratulations on the post of the week mention over at Hilary's, this was a fun drive down memory lane. Laughed a lot... thanks ... and congrats on The Post of The Week! Great post! Congrats on POTW from Hilary! Large beach towel to hide camera on floor when I leave vehicle in Target parking lot.. or any other lot for that matter. Cloth shopping bags. Leave them in there ALL the time so I don't forget them. Box of Kleenex for allergy season. And a large ugly green military blanket to cover the rear area when hauling dogs to the vet so they don't get TOO MUCH dog hair on the carpet. Pretty simple seeing as how I am an empty nester and it's rare that I even have anyone else in the SUV with me... other than the hairy dogs! Stopping over from Hilary's to congratulate you on the Post of the Week. Well done! Your story brought back memories of my Mom's car (I don't have Kids). When we needed change for penny candy we'd search through the seats of her car and find the nastiest stuff-- and usually 25 cents! Great post. I like your astute observations. And congrats on POTW! Somewhat scarily it does remind me of what I have in my car as well...one child out of college...one still in elementary...and myself on the road most days for business...I have amassed too long an arsenal to list. As a mom with no car, I'd like to say that if I had one, I'd like it to be just like yours. LOL great post. And congrats on POTW. You should post this on Mad Manic Mamas...they would love this. Congratulations on being the Post of the Week at Hilary's Smitten Image. Having a neat as a pin hubby, and mom's car also being Daddy's, there were no snacks left lying about, sadly. Loved this post.